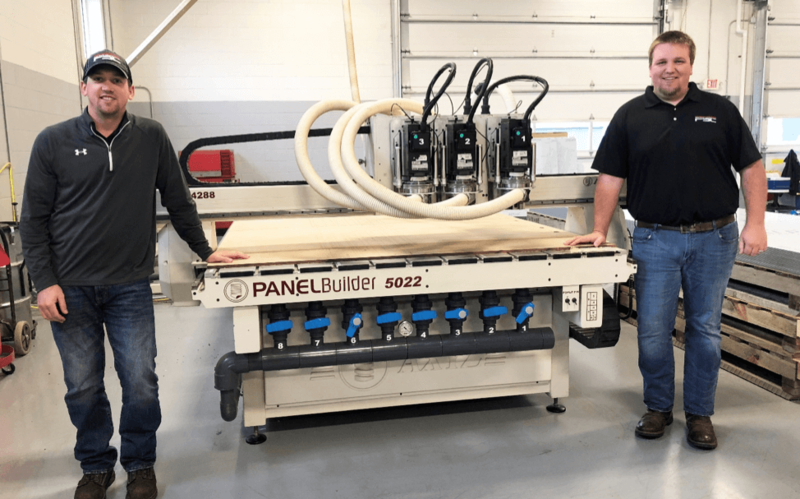 It’s not often that an already successful business gets to announce they are the “area’s only ACM panel provider.” But when Penn State Construction installed the AXYZ PANELBuilder 5022 machine in 2012, that’s exactly what happened. Founded in 2008 in Lewistown, PA, Penn State Construction was already building a solid reputation in commercial construction and renovations, as well as creating fabric tension buildings in partnership with Winkler Structures. Adding ACM panels to their list of services not only helped to grow their business, but now, they’re the only supplier of ACM fabrication and installation in the area, serving the corporate identity, office space, healthcare, and educational markets. PANELBuilder is known Internationally as the leader in panel fabrication systems. When Penn State Construction started using PANELBuilder in 2012, they were able to experience the same maximized material utilization that other ACM fabricators were experiencing, due to its superior nesting feature. Other benefits they noticed included a reduction in run times due to multiple spindles being installed with correct ACM tooling, as well as accurate and consistent cut depths due to the nose rider option. It’s this kind of faith in your machinery that surpasses and outshines the competition. It’s one thing to maximize ACM production and minimize downtime, but it’s another thing to know that what is coming off the table is coming off right and without errors.